Oct. 25, 2016 – Oswald Companies, one of the country’s largest independent insurance brokerage and risk management firms, is recognizing 10 years of service from its Michigan-based office, located in Bloomfield Hills and serving the greater Detroit area and surrounding counties. The office was established in 2006 and commemorated its anniversary at a reception this summer. Chuck Scrafano, Business Development. Scrafano brings nearly 25 years of experience in the financial services and insurance industries, serving a wide range of client segments, including: employee benefits, property & casualty, risk management and life insurance. He was most recently with Deoren Mayhew Insurance Group. Susan Tobbe, Property & Casualty, Senior Client Manager. Tobbe most recently served as an Account Executive with AssuredPartners and has nearly 20 years of experience in the field. Dianna Dickey, Personal Insurance, Client Manager. Dickey joined Oswald with 30 years of high-net-worth clientele experience at Alliant Insurance Services. Earlier in 2016 Oswald announced the promotion of Catherine Kosin to Detroit Market Leader. Kosin is a Senior Vice President for Oswald and brings nearly 20 years of industry and management experience. She joined the firm in 2006 where she was a key leader in establishing Oswald’s Detroit Office presence as Operations Manager. In 2014 she oversaw the office’s expansion to a larger space at its current address, 39572 Woodward Ave., Bloomfield Hills. Kosin continues to lead the full-service office of nearly 30 employee-owners, as well as serve clients in her specialty areas of domestic, casualty and international risks. She recently served as a panelist at Oswald’s annual Women’s Leadership Conference in Cleveland. The office is home to Oswald’s Lawyer’s Professional Liability and Law Firm Practices, along with concentrations in key specialty areas including construction, real estate, personal client management, risk management, and international client strategy and service. 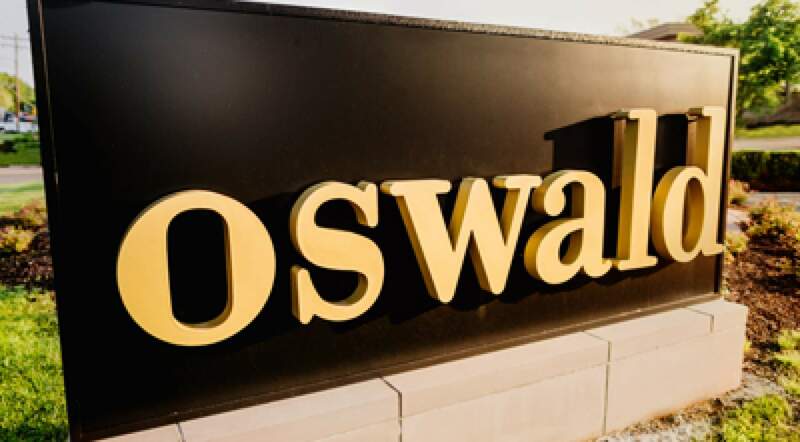 Connect with Oswald’s Michigan Office on its webpage. Founded in 1893, Cleveland-based and employee-owned, Oswald is one of the nation’s largest independent insurance brokerage and risk management firms and a proud member of Assurex Global, the world’s largest association of privately-held insurance brokers. Oswald helps individuals and businesses identify, reduce and manage their risks through cross-functional business units: property and casualty, employee benefits and health management services, personal client management, retirement plan services and life insurance. Their risk management professionals service and support the needs of employers throughout the U.S. and worldwide. Learn more at www.OswaldCompanies.com.